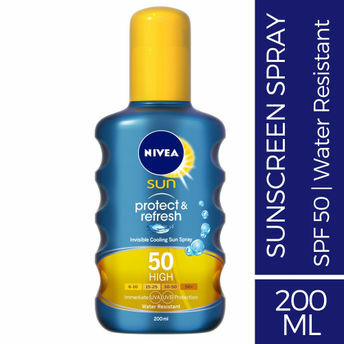 NIVEA SUN Protect & Refresh Invisible Cooling Spray provides highly effective and reliable immediate UVA/UVB protection and has a pleasurable cooling effect that leaves your skin refreshed and silky. 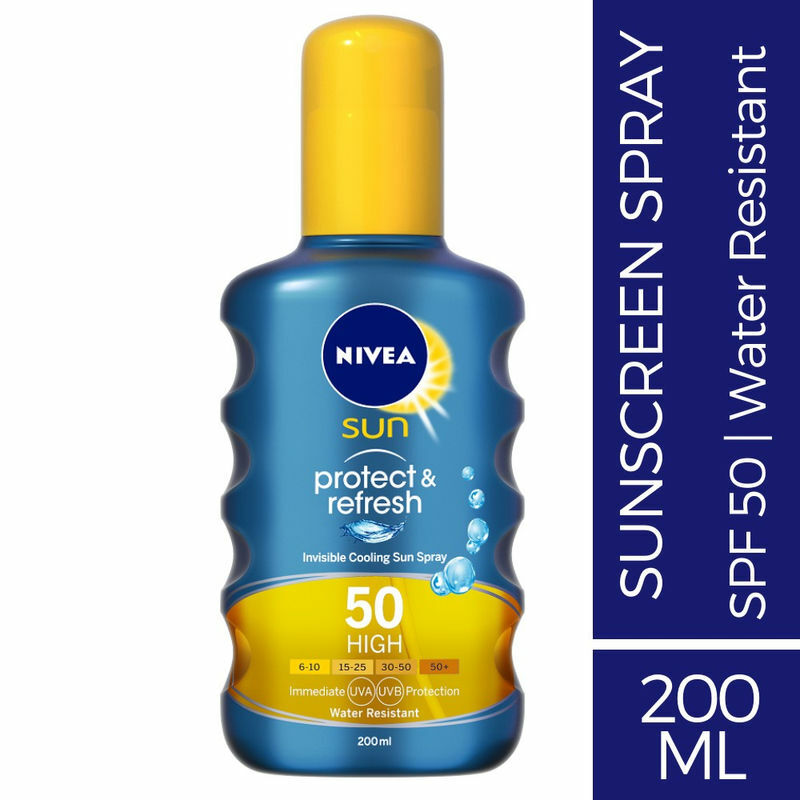 The transparent, non-greasy formula is quickly absorbed, water resistant and leaves no white marks. Spray from any angle for an easy application.